Bernard J.D. Irwin wasn't thinking about medals that February morning in 1861...indeed there was no such thing for American soldiers. Instead, the Army Surgeon's mind was occupied with concerns for a young Arizona Territory boy and a group of fellow soldiers. Days earlier Cochise and a band of Apache warriors had captured the boy. The 7th Infantry's 2nd Lt. George Bascom had immediately pursued with 60 men on a desperate rescue mission. Now word had reached Fort Breckenridge that the greatly superior Apache force had surrounded Bascom and his men and imperiled their own survival. Accustomed to using his medical skills to save lives, Irwin was determined to now use his military skills to save his comrades. Unfortunately only 14 men could be spared from the garrison, these to be Irwin's rescue party. No horses could be spared for the mission, so Irwin and his 14 soldiers departed Fort Breckenridge on mules. Faced with a trek of 100 miles in the midst of a winter blizzard, the logistics of the mission were as improbable as the possibility of encountering the much larger enemy force, defeating them, and rescuing the captives. None-the-less the Irish-born surgeon was determined to try. On February 13, 1861, Irwin's small rescue party encountered Cochise and his warriors at Apache Pass, Arizona. But it wasn't a battle so much as it was a tactical engagement. With a carefully laid out plan and maximum placement of his 14 men, Irwin succeeded in convincing the Indian warriors that he had arrived with a much larger force, causing them to withdraw. Bascom's 60 men were liberated and joined Irwin and his 14 soldiers. The unified force then pursued Cochise into the mountains where they were able to engage him and rescue the captive boy. Irwin's heroic rescue occurred almost a year before the Medal of Honor was introduced to the US Congress. 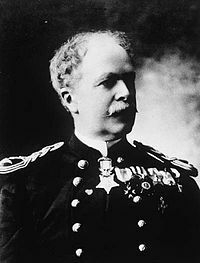 Indeed, Irwin himself did not receive the Medal of Honor until January 24, 1894.... more than 30 years later. 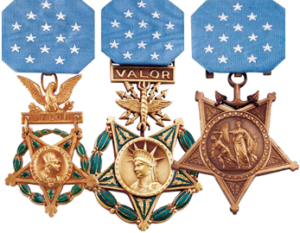 But his actions the cold mornings of February 13-14, 1861 are recorded in history as the first Medal of Honor action.